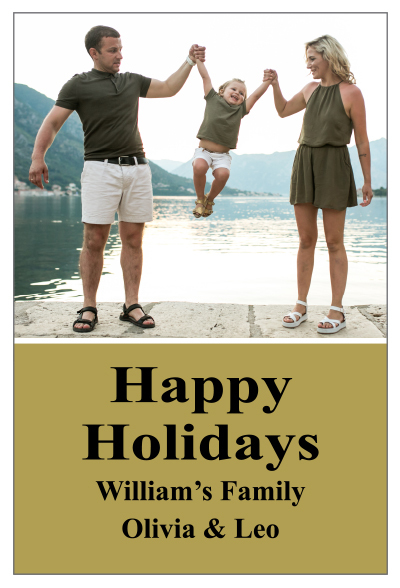 Holidays are here again and you perhaps want to express your joy to one and all in the league, why don’t you try out with these personalized holidays announcement save the date magnets 4x6 inch square corner -20 MIL. You can utilize them for sketching your emotions in best possible way. The glossy finish over these magnets lends a personal and enigmatic touch to your messages. You can avail discounts by ordering these magnets in bulk. Request a quote to know wholesale price benefits offered on custom holidays announcement save the date magnets 4x6 inch square corner – 20 MIL.